Why do Ukrainians celebrate Christmas without Santa Claus? When do they get their gifts? Why is Ukrainian Christmas celebrated in January? Why do they eat twelve separate meatless and non-dairy foods on Christmas Eve? Why is there an empty place setting and chair at the table even if there are many people? Why do they go around singing in people’s homes in the depths of winter? What is a Malanka? What’s with all the different things celebrated in such a different way? What does all this mean? Orysia Tracz is a writer, researcher, translator, and speaker on things Ukrainian, especially culture, and has had a life-long interest in Ukrainian rituals and traditions. 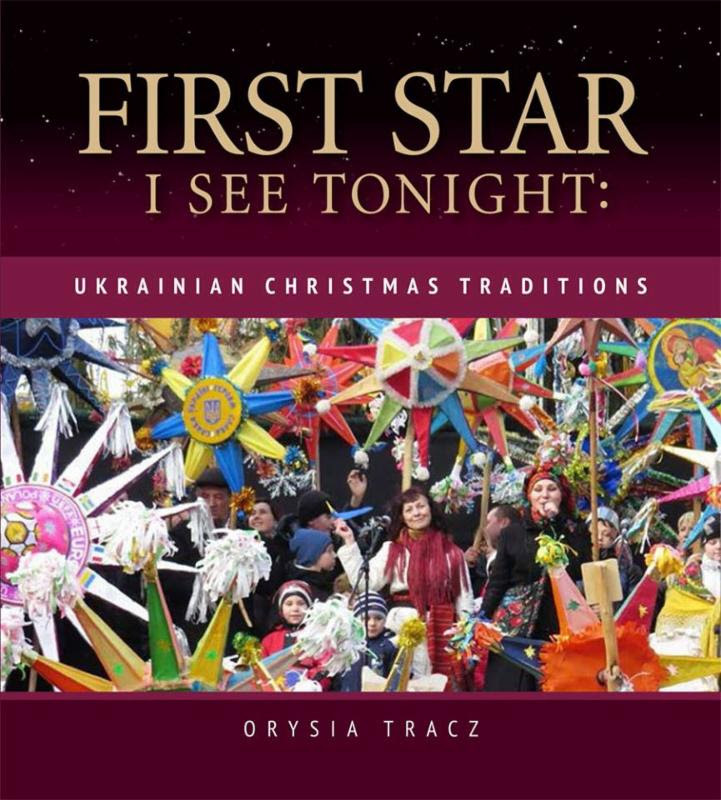 In this book she explains Ukrainian Christmas origins, their symbolism, and their continuation in Ukraine and around the world, especially in Canada and the USA. The author has wondered about all this since childhood, and has finally put all of it together (at least most of it). With the strong Ukrainian-heritage population in North America, and the interest shown in Ukrainian traditions whenever Ukrainian Christmas is mentioned in the media, this book will fill a large part of the need for this comprehensive information. This is a book for families, generations, and for lovers of Christmas. The book will be available online at McNally Robinson in Winnipeg and Saskatoon, from Yevshan, and select Ukrainian bookstores in North America. 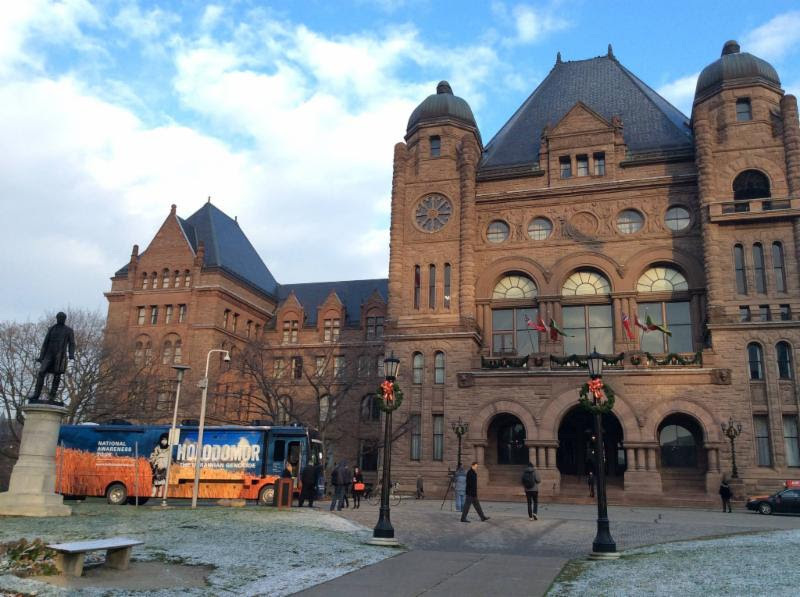 The Holodomor Mobile Classroom,a new initiative for teaching about the Famine of 1932-33, was the focus of a commemoration at the Ontario Legislative Assembly at Queen’s Park on November 24. The customized RV, with the words “Holodomor – The Ukrainian Genocide” emblazoned across forty feet of blue sky and wheat fields, was a striking sight against the background of the Legislative Building. 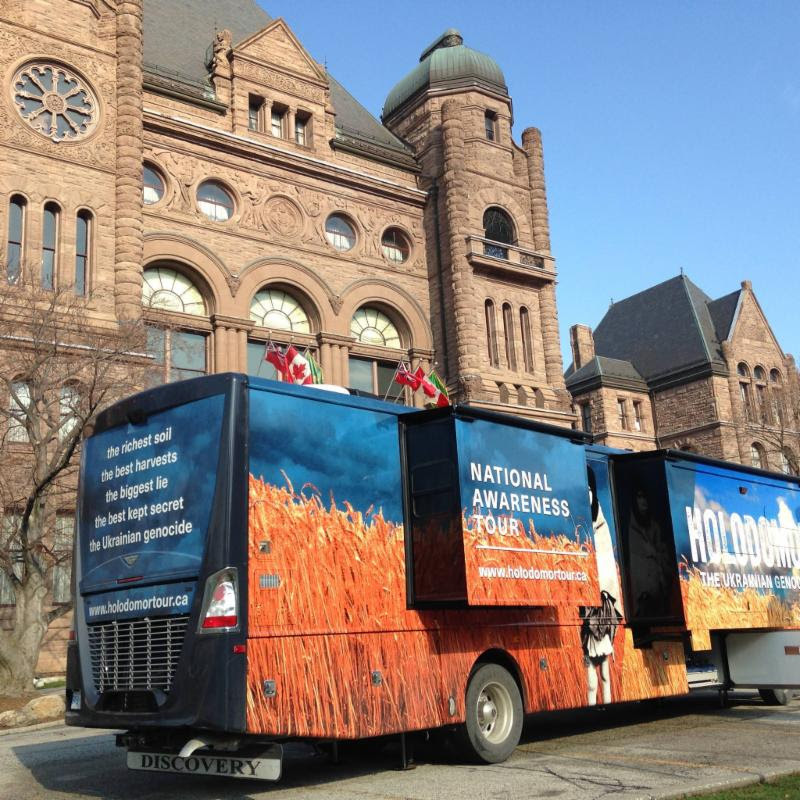 The Holodomor Mobile Classroom will tour the province of Ontario and then the country teaching about the manmade famine that starved to death millions of Ukrainians. Ontario Minister of Education Liz Sandals and Member of the Provincial Parliament Yvan Baker, who has supported the project since its inception, cut the ribbon to launch the mobile classroom, which is the centerpiece of the Holodomor National Awareness Tour project. Paul Grod, National President of the Ukrainian Canadian Congress (UCC), addressed the gathering, noting that Ukraine again faces forces determined to undermine it. 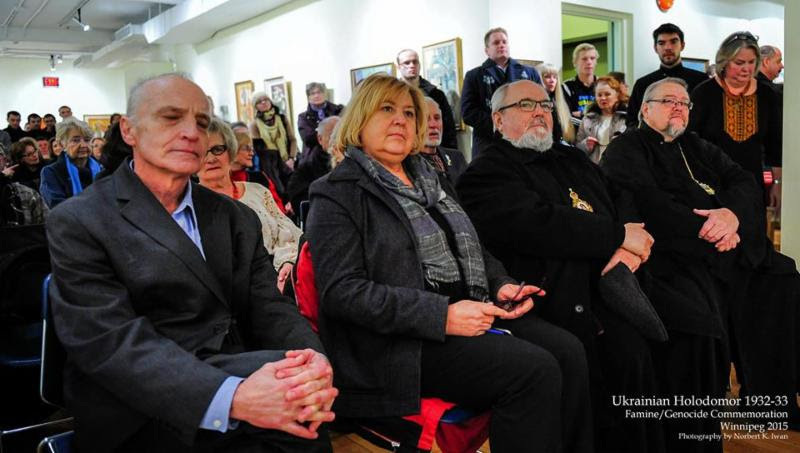 Also in attendance were Taras Bahriy, President of UCC-Toronto Branch; Julie Dzerowicz, Member of Parliament (Davenport); and two Canadians who lived through the Holodomor, Stefan Horlatch and Mykola Latyshko. The ceremony included a blessing of the bus by Bishop Andriy of the Ukrainian Orthodox Church of Canada and Bishop Stephen Chmilar and Rev. Petro Dvirnik of the Ukrainian Canadian Catholic Church. 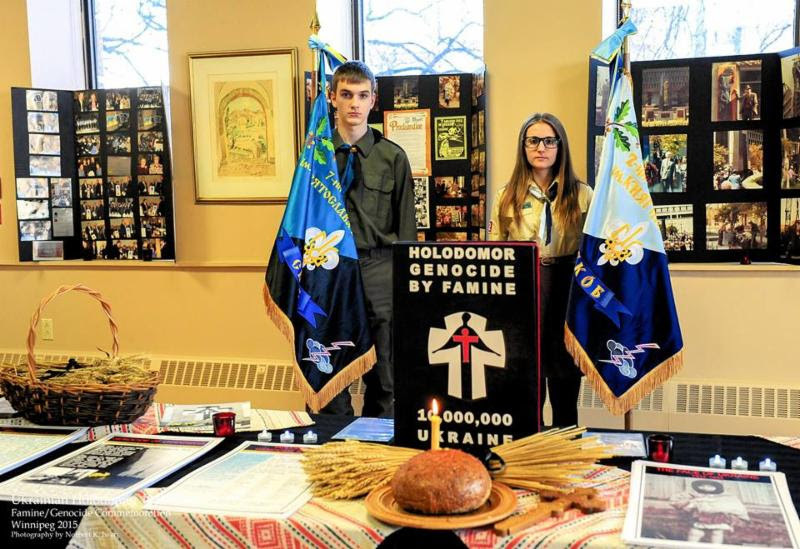 The Province of Ontario has committed $750,000 to raise awareness of the Holodomor among students in public schools. Students in urban, rural and northern communities will benefit from the state-of-the-art audio-visual experience featuring a 28-foot video wall. A facilitator will lead an interactive lesson that develops critical thinking skills as students practice the historian’s craft, investigating sources and analyzing artifacts. Lessons underscore the importance of human rights and the rule of law as well as the concept of genocide. More than 10,000 students per year across Canada are expected to benefit. Wheelchair accessible, the mobile classroom can accommodate up to 34 visitors at a time. The Government of Canada has provided a three-year grant of $1.5 million to support the project. The Province of Manitoba is providing educational expertise and other in-kind support. The project is carried out by the Canada-Ukraine Foundation (project lead), the Ukrainian Canadian Congress (UCC), the Ukrainian Canadian Research and Documentation Centre (UCRDC), and the Holodomor Research and Education Consortium (HREC) of the Canadian Institute of Ukrainian Studies, University of Alberta. The new resource supports Canadian and World Studies, Social Sciences and Humanities courses in secondary schools as well as Ontario’s Equity and Inclusive Education Strategy which aims to create an inclusive education system that values diversity and respect for others. Modules will be available in French. Ontario’s Holodomor Memorial Day Act (Bill 147) dedicates the fourth Saturday in November to commemorate the tragic historical event. 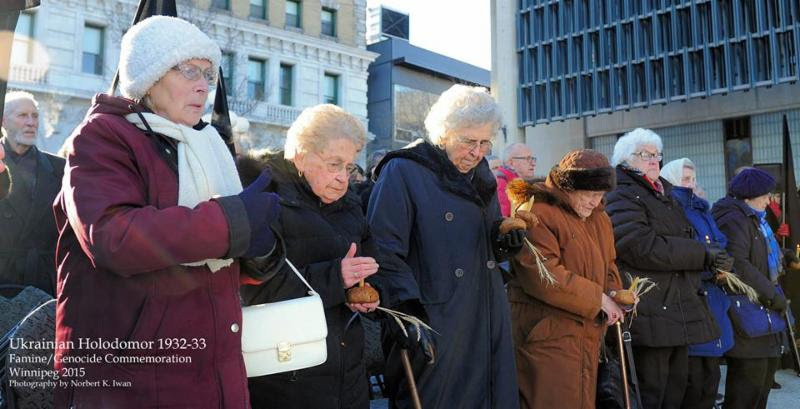 In 2008, Canada became the first country to officially recognize the Holodomor genocide. December 9, 2015 – OTTAWA. Yesterday, the Ukrainian Canadian Congress and the Embassy of Ukraine in Canada held a solemn commemoration to mark the 82nd anniversary the 1932-33 Holodomor in Ukraine on Parliament Hill. The Holodomor, which means death by starvation, refers to the 1932-33 Famine-Genocide, where millions of Ukrainians were deliberately starved to death by the Communist regime of Joseph Stalin in an attempt to destroy the Ukrainian nation. For more than half a century the truth about this genocide was concealed, in the hope that its memory would be extinguished forever. 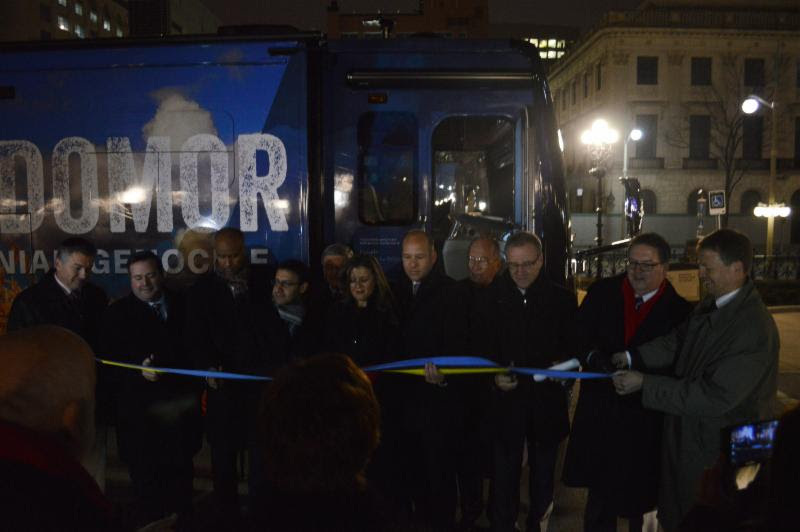 At the Centennial Flame on Parliament Hill, the Holodomor National Awareness Tour mobile classroom (http://www.holodomortour.ca/) was inaugurated by assembled Members of Parliament and leaders of the Ukrainian Canadian community. 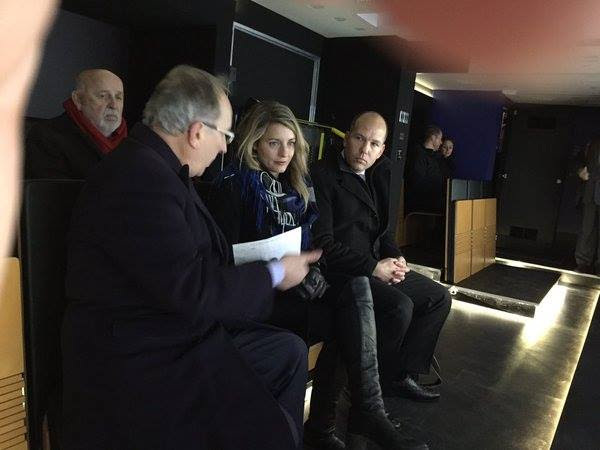 The mobile classroom, a 40-ft RV which will travel across Canada, was toured by Minister of Canadian Heritage, the Hon. Mélanie Joly, and Members of Parliament in attendance. The Holodomor Mobile Classroom will provide students with an innovative learning experience about social justice, human rights and democratic values in relation to the genocide by famine which killed millions of Ukrainians. “The Holodomor National Awareness Tour will encourage Canadians to examine the consequences of hate, oppression and discrimination while promoting the values of human dignity, tolerance and truth as fundamental to a democratic society,” stated Bob Onyschuk of the Canada Ukraine Foundation, which heads the Holodomor National Awareness Tour project. The Government of Canada, through Inter-Action, Canada’s multiculturalism grants and contributions program, has provided a three-year grant valued at $1.5 million to support this project. 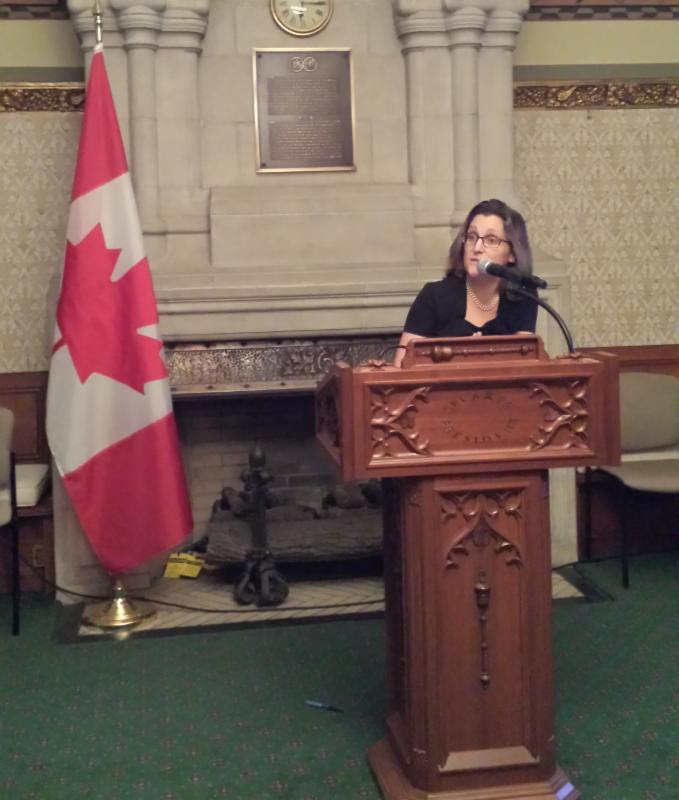 Following the inauguration of the Holodomor National Awareness Tour mobile classroom, a solemn commemoration was held in the Centre Block of the House of Commons, hosted by the Hon. Geoff Regan, Speaker of the House of Commons. The ceremony was led by Master of Ceremonies Borys Wrzesnewskyj, MP, who offered dignified and heartfelt remarks. 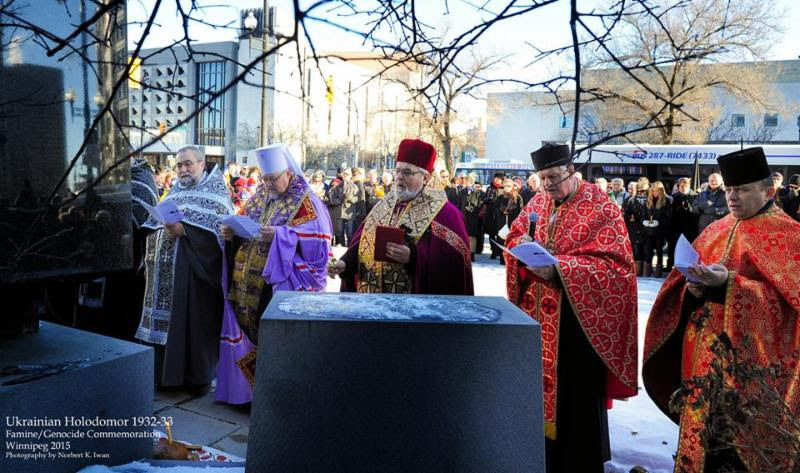 The prayer in memory of the victims of the Holodomor was led by Rev. Fr. Ihor Okhrimtchouk and Rev. Fr. Peter Galadza and those in attendance sang Eternal Memory (Vichnaya Pamyat). 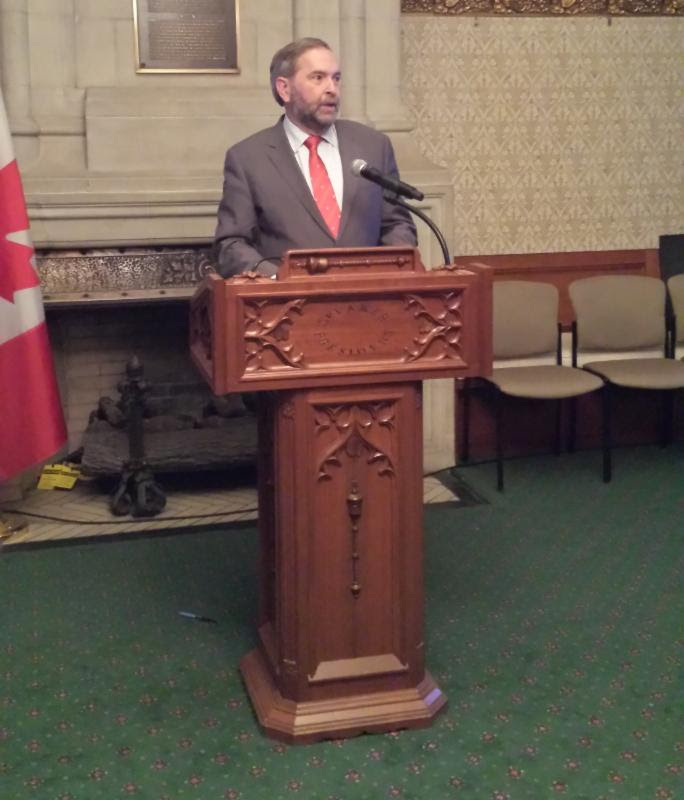 Speakers at the event included the Leader of the Opposition, the Hon. 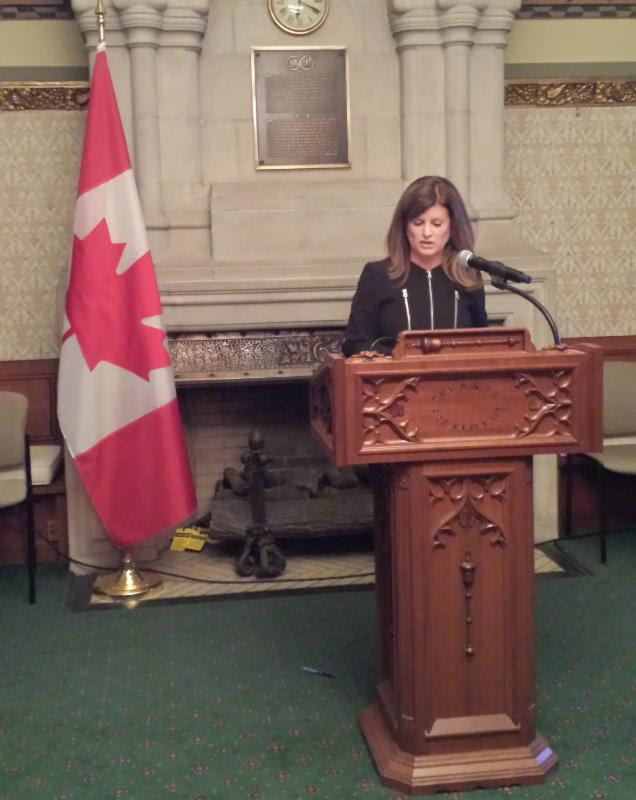 Rona Ambrose; the Leader of the NDP, the Hon. Thomas Mulcair; Marko Shevchenko, Charge d’Affaires, Embassy of Ukraine in Canada; and Paul Grod, National President of the UCC. The commemoration was attended by dozens of Members of Parliament from all parties. The Ukrainian Canadian Congress would like to express its heartfelt gratitude to all those who attended the National Holodomor commemoration ceremony at the Parliament of Canada. 9-го грудня, 2015 – Оттава. Вчора Конґрес Українців Канади та Посольство України в Канаді вшанували 82-гу річницю Голодомору в Україні у 1932-33 роках. Голодомор – вимушена смерть шляхом голоду є геноцидом 1932-33 років де мільйони українців були навмисно вбиті голодом. Цей геноцид був організований комуністичним режимом Йосипа Сталіна як спосіб знищення українців як нації. Правда про цей геноцид скривалася більш ніж півстоліття з метою, що пам’ять про це зникне назавжди. На Парламентському Пагорбі відбулася інаґурація мобільної навчальної кімнати Національне Турне Вшанування Пам’яті Жертв Голодомору (http://www.holodomor.ca/) , де були присутні члени парламенту та провідники українсько-канадської громади. Міністр Спадщини Висооповажна Мелані Джолі та члени Парламенту відвідали пересувну навчальну експозицію про Голодомор, розташовану у 42′ автобусі який подорожуватиме через цілу Канаду. Застосовуючи новаторський досвід навчання пересувна навчальна кімната про Голодомор надаватиме студентам можливість вивчати такі теми як соціальна справедливість, людські права та демократичні цінності з точки зору геноциду, який знищив мільйони українців. “Національне Турне Вшанування Пам’яті Жертв Голодомору заохочуватиме канадців переосмислювати наслідки ненависті, пригнічення та дискримінації і наголошуватиме на такі цінності як людська гідність, толерантність та правда які є фундаментальними складовими демократичного суспільства,” – підкреслив Богдан Онищук з Канадсько – Української Фундації, яка очолює цей проект. Уряд Канади через програму багатокультурних ґрантів та внесків виділив трьох річний півторамільйонний ґрант а підтримку цього проекту. Після інаґурації пересувної навчальної кімнати відбулося урочисте вшанування жертв Голодомору у Центральному Блоці Парламенту за участі Високоповажного Спікера Палати Громад Джефа Ріґана. Борис Вжесневський, член Парламенту провів церемонію вшанування, висловивши гідні та щирі слова. Отець Ігор Охрімчук та отець Петро Ґаладза разом із присутніми помолилися за душі жертв Голодомору та відспівали “Вічная Пам’ять”. “Канадці визнають Голодомор як акт геноциду проти українського народу. Навмисне вбивство мільйонів українців було одним із найтемніших сторінок в історії людства,” – заявила Високоповажна Мелані Джолі. “Невинні люди голодували і були знищені лише за те, що хотіли розмовляти своєю власною мовою, підтримувати свою культуру, зберігати свою власну землю і мирно жити”. Високоповажна Христя Фріланд, Міністр Міжнародної Торгівлі заявила: ” Для мене є честю представляти уряд Канади на цьогорічному національному вшануванні жертв Голодомору у Парламенті. Ми ніколи не повинні забути про Голодомор і повинні завжди пам’ятати жертви і повинні кинути світло на цю темну сторінку в історії людства. Я горда, що Канада визнала Голодомор як акт геноциду проти українського народу. Канада завжди буде з народом України”. Серед виступаючих були також лідер Опозиції Висикоповажна Рона Амброз, лідер Новодемократичної Партії високоповажний Томас Малкер, тимчасово повірений у справах України в Канаді Марко Шевченко та національний Президент Конґресу Українців Канади Павло Ґрод. Виступаючи від імені українсько-канадської громади Ґрод заявив: “На жаль, більше ніж 80 років пізніше, сьогодні для народу України та цілого світу питання Голодомору залишається доречним більш ніж будь-коли. Україна сьогодні перебуває під військовою, економічною та політичною атакою режиму Путіна, подібно як це було за Сталіна понад 80 років тому. Гіркий урок Голодомору дає українцям сили не піддаватися намаганням Путіна знищити українську націю. Українські громади по всьому світу працюють у країнах їхнього проживання щоб підтримати прагнення українського народу найщирішою волею якого є життя у вільній від чужоземної агресії країні, де дотримуються людської гідності”. Понад десяток членів Парламенту, представників усіх партій були присутні на вшануванні жертв Голодомору. Конґрес Українців Канади щиро вдячний всім присутнім на Національному вшануванні жертв Голодомору у Парламенті Канади. On 28 November 2015 Director of the Ukrainian World Congress (UWC) Mission to Ukraine Serhiy Kasyanchuk laid stalks of wheat in memory of the millions of victims of the Holodomor at the Memorial in Commemoration of Famine Victims in Ukraine in Kyiv during the official commemoration of the 82nd anniversary of the famine genocide of 1932-33. Ukrainian communities throughout the world united in marking this anniversary throughout the month of November with a range of commemorative events that included meetings with Holodomor survivors, academic conferences, film screenings, educational programming, solemn candlelight vigils and memorial services. In honoring the memory of the victims, the UWC expresses gratitude to the individuals – People of Truth – who, in their own ways, tried to share the story of the Holodomor with the world. “The Ukrainian World Congress calls upon the international community to keep the flame of truth alive by sharing these testimonies and ensure that all governments in the world formally recognize the Holodomor of 1932-33 a genocide of the Ukrainian people,” stated UWC President Eugene Czolij. 28 листопада 2015 р. Директор Представництва Світового Конґресу Українців (СКУ) в Україні Сергій Касянчук поклав колоски пшениці в пам’ять про мільйони жертв Голодомору під час офіційної церемонії відзначення 82-ої річниці геноциду українського народу 1932-33 рр. у Національному музеї “Меморіал пам’яті жертв Голодомору в Україні” в Києві. Українські громади всього світу об’єдналися у відзначенні протягом листопада цієї дати шляхом проведення пам’ятних заходів, які включали зустрічі зі свідками Голодомору, академічні конференції, демонстрування фільмів, освітні програми, урочисте запалення свічок та поминальні служби. Вшановуючи пам’ять жертв Голодомору, СКУ висловлює вдячність тим особам – “Людям Правди”, які, кожен у свій спосіб, намагалися поширити в світі правдиві відомості про Голодомор. “Світовий Конґрес Українців закликає міжнародне співтовариство нести смолоскип цієї правди, поділяючи ці свідчення та запевняючи, що уряди всіх країн офіційно визнають Голодомор 1932-33 рр. геноцидом українського народу,” – заявив Президент СКУ Евген Чолій. popularizing the creative heritage of Shevchenko and honoring him outside of Ukraine. Most important of the project undertaken was a Shevchenko biographical exhibit. Brandon, Vita, Rosa, Gimli, Sandy Lake, Gardenton and Gilbert Plains. renaming of a portion of Aberdeen Avenue in Winnipeg to Taras Shevchenko Way. 9 were involved in creating this project. Taras Shevchenko and his legacy. the 12 schools providing the English-Ukrainian Bilingual Program. Nazariy Demkowicz (ND) is a an 18-year old actor from Winnipeg, MB. 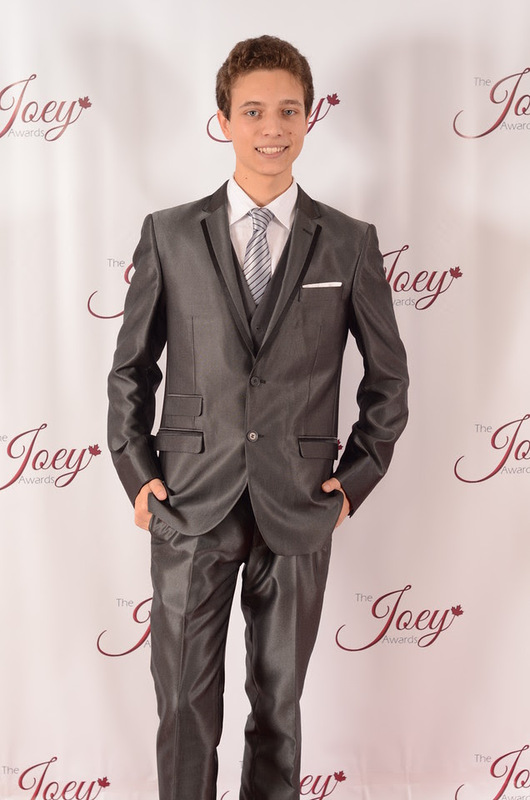 He is currently studying Film and Science at the University of Manitoba and most recently won a Joey Award which recognizes young Canadian performers. He is the youngest child of Lesia Demkowicz, the Administrative Assistant at the UCC Head Office. 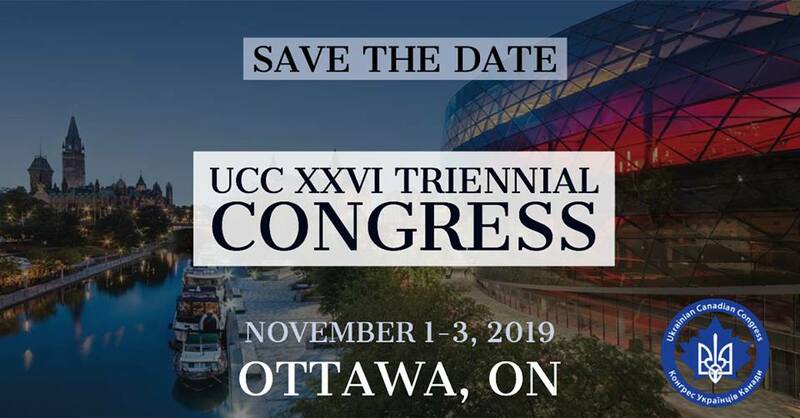 The following interview was conducted by Michael Hrycak (MH) from the UCC National Office. MH: Where are you from originally and describe your childhood growing up? ND: I was born on Thanksgiving Day in Winnipeg, Manitoba, Canada. I have an older brother, niece and nephew. MH: How and when did you get into acting? What and/or whom were some of your influences? ND: I began almost everything at the age of six; violin, Tae Kwon Do, acting, and I also started International Ballroom Dancing a few years ago. I began acting by taking classes at the Manitoba Theatre for Young People. My first professional role was playing Paul Dewey, the son of the lead detective Alvin Dewey played by Chris Cooper in CAPOTE. I had an amazing time on set as this was one of my first times having my own trailer and experiencing what it is like to be on a professional production. As I learned more about the film industry, gained experience, and had these wonderful memories, I continued to further my academic studies in school while pursuing extracurricular activities. The first few times I was on set influenced me to continue looking forward to being on set; I always enjoy being in the midst of the hustle and bustle, watching everyone do their part so that in the end everything can come together to form an amazing product. MH: What was it like to receive a role in a major film like Capote and working with a multitude of well-known Hollywood actors? ND: I was almost seven years old, and for me everything was new and exciting; it was different and I was very curious on set. I remember playing with toys from the 1959, which were very different from current toys. My time on set of the Academy Award Winning film Capote, which was filmed in Winnipeg, was great and the people that were around me made it even better. It was interesting for me to see very fun and friendly people transform from being their usual selves, to a whole other person living their life within the story of Truman Capote; all at the sound of the director Bennett Miller calling “Action!” Working with this multitude of well-known actors such as Chris Cooper, Amy Ryan who played my mother Marie Dewey, and the late Phillip Seymour Hoffman made me notice the amount of work and effort put in by each member of the cast and crew in order to develop a solidified character and story. The work done by Philip Seymour Hoffman was outstanding; his portrayal of Truman Capote was so ‘bang on’ that he remained in character in-between takes. I took away very fond memories from Capote; how the actors carried themselves during scenes and how they prepared, and even a moment when it was so cold outside that Ms. Amy Ryan gave me her pocket warmers and kept my hands warm.